Amongst the worst acts of aggression in Europe since WWII, the genocide in Srebrenica was particularly grotesque. 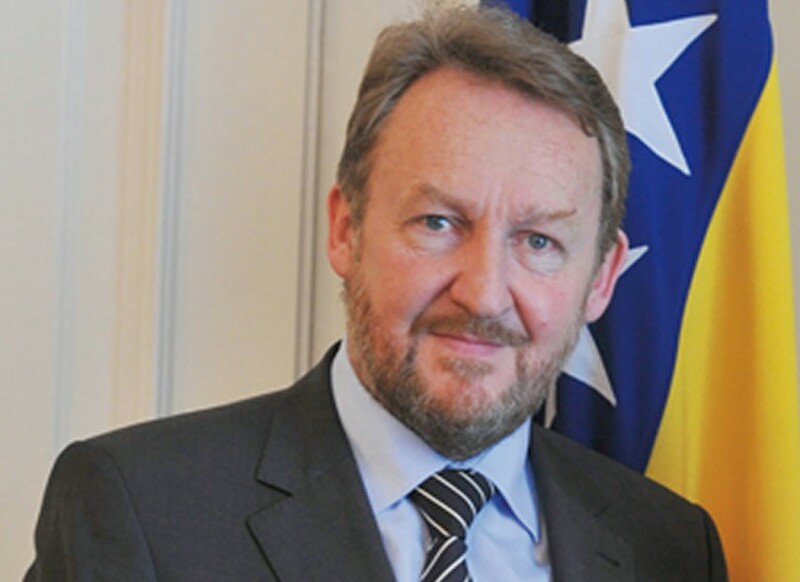 President Bakir Izetbegović warns of lurking tensions that need urgent resolution. “Speaking for myself, and on behalf of the Bosnian people, I offer my sincere thanks for pronouncing the truth and guarding the memory of the victims of the Srebrenica genocide. The clear and unequivocal position of the British Government and its Prime Minister, David Cameron, that the genocide should never be forgotten, and that the world needs to be vigilant in pre – venting similar tragedies in the future, is truly precious to us. We have valued the support of the British people since 2000. Your government has made significant contribution to the construction of the Memorial Centre in Potočari, the work of the International Commission for Missing Persons, and by actively assisting the returnees to Srebrenica through reconstruction and building of infrastructure. We will remember all this. From 11th to 16th July 1995, the death squads of Karadžić and Mladić massacred more than 8,000 Bosniaks – only because they were Muslims. Tens of thousands of women and children were forcibly deported. Prior to that they burnt down 269 Bosniak villages in the region. In the inferno of Srebrenica, as in the Nazi camps of Hitler, the innocent faces clearly stood out against the ruthless hatred of the criminals. But so too stood out the shameful indifference of powerful world rulers for whose help the victims cried. Those who could have, but failed to prevent the Srebrenica tragedy, and the tragedy of the whole of Bosnia and Herzegovina, failed the test of history. This is why Srebrenica will forever remain the ugly spot on the face of the international community. If there is a grain of comfort for the mothers, daughters and sisters of Srebrenica in this world, then it is that the criminals will face justice. But victims have been waiting for justice too long. The leader who inspired and commanded the crimes, Slobodan Milošević , died in the Hague. His accused henchmen Radovan Karadžić and Ratko Mladić are in Scheveningen, awaiting the inevitable. But hundreds of others with blood on their hands are still at large. In some parts of Bosnia and Herzegovina they are celebrated as heroes. 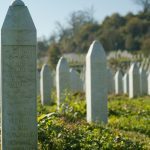 Most of the civilized world has, albeit late, called the Srebrenica genocide the biggest crime in Europe since World War II, but in the Republic of Srpska, that truth has not yet been faced. But voices of cynicism are more and more isolated. Even the President of Serbia, Tomislav Nikolić, known for his radical past, has recently publicly apologised for the terrible crimes in Srebrenica.